Welcome to the website of Bob Branco! Hi, everyone. My name is Bob Branco. I am a life-long resident of New Bedford, Massachusetts, born August 12, 1957. For the first several years of my schooling, I was placed in a sight saving class, where we all received special attention due to the small class size as well as our visual deficiencies. When I reached the fifth grade, the State of Massachusetts could no longer accommodate me locally, so I was sent to the Perkins School for the Blind in Watertown, Mass, where I graduated from their high school in 1977. I went on to receive an associates degree from Bristol Community College in Business Administration, and then obtained my Bachelors’ degree in Finance at Southeastern Massachusetts University, which is now UMass Dartmouth. I belonged to many community-minded organizations over the years, and became well-versed in coordinating activities. I ran trips, dances, workshops, class reunions, surprise parties, talent shows, candy sales, car washes, Christmas parties, bowling leagues, and served as Commissioner of a softball league from 2006 to 2013, etc. As you look through my web sight, you will probably have questions, comments and opinions. Please submit them to me at bobbranco93@gmail.com. I am currently seeking a career in writing for newspapers and magazines, or any other part time work in communications, either home or at an office. You can view my resume by following this link. I am available to conduct trivia activities throughout the greater New Bedford area including cities and towns in Bristol and Plymouth Counties. Fees are negotiable and fee waivers are considered for the appropriate events. To learn more about my Trivia Activities services please call 508.994.4972 or email bobbranco93@gmail.com. Branco Broadcast is a weekly show that I host via teleconference. Each week, I bring a special guest on the show to talk about his or her field of expertise. If you want to hear the recording of Branco Broadcast with Sharla Glass of En-Vision America, please do the following. Call 712.775.8984. Press 1 for the main menu, 1 for the rooms menu, and 6 for my conference room. It will ask for your name, which you don’t have to say if you don’t want to. Press pound. When you hear the word zero or any other number, hit star 5, the number 2, and then the following 7-digit code, 514295. Once you listen to the program, please send me an email with your comments. If you need help with these instructions, please email me or call 508-994-4972, and I will work with you. Bowling league at Wonder Bowl in New Bedford starts after Labor Day. Mixed league male and female for both disabled and non-disabled. For more information or to join call 508.994.4972 or email bobbranco93@gmail.com. We can also assist with finding transportation if needed. My new podcast, Sports Round Table, will officially be aired on Wednesdays at 11:00 p.m. Eastern Time on the Massachusetts Radio Reading Service as of Wednesday, January 17. Bob Hachey, Allen Hensel, Tom Dalley and Lin Gagnon talk with me for one hour a week about the hot sports topics that week. If you can’t hear the show when it’s on, it will be archived. Below is the link to their general archive page. You would have to find Sports Round Table. Follow this link after January 17 to visit the Sports Round Table Archive. If you have trouble navigating the page, John Shea of the Radio Reading Service is willing to listen to any suggestions on how to improve the page, especially for those of you with screen readers. 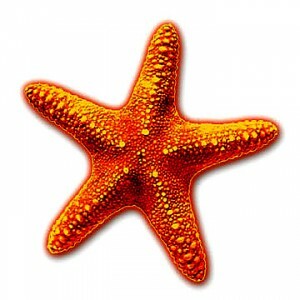 What is Project Starfish? That is a question I asked a friend of mine last September when she introduced me to a unique and new socio economic platform, one that will help the blind become employed. Since I was introduced to Project Starfish and its mission, I have become more aware that if blind people learn new contemporary skills, and have a platform to apply them, they can create their own employment opportunities. With the help of Project Starfish, many blind people can now use their skills to help small businesses with specific needs, such as social networking, content writing, customer service, research sales, marketing and other related business skills. These business development services are needed to help support small businesses, however such services are not always available to the small business community. That makes this program unique and a win-win for both sides, making it sustainable. Project Starfish offers quality hands-on trainings, and we speak to highly skilled professional people in the industry in order to learn and better ourselves in the business world. These trainings take place virtually by conference calls on a regular basis, while we learn , network, and discuss problems and opportunities. The results have been quite predictable. Several consultants in the program have made money including myself. Several businesses have placed their trust in Project Starfish and its team of blind consultants in order to make this model a success, and are quite impressed at what we bring to the table. It’s a great camaraderie! I am very proud to work with Project Starfish and its founder, Subhashish Acharya, and suggest that other talented, ambitious blind people join us if they believe they can utilize their business skills constructively. Please check out www.projectstarfishusa.org for more information. Being that this website may not be fully accessible, we are updating another more accessible website, www.projectstarfishinc.org. I believe this model can work as long as you are ambitious, open minded, eager to learn, work hard and also have fun. We learn, earn, collaborate, work as a team and raise awareness of who we are and what we are capable of in society.